Getting out of Dodge …..
There’s no denying it – that white stuff all over the place is sending the message loud and clear. Winter is here and although I am not an “all-inclusive” fan the thought of lying on a beach for a week with nothing to do but sleep, eat and drink is starting to look very attractive. I am not the only one thinking that way either – when I talked about Mexico this morning on Global TV this morning http://youtu.be/fQldfjPxago the phones were hopping off the desks. It got me thinking about the all-inclusive holidays. 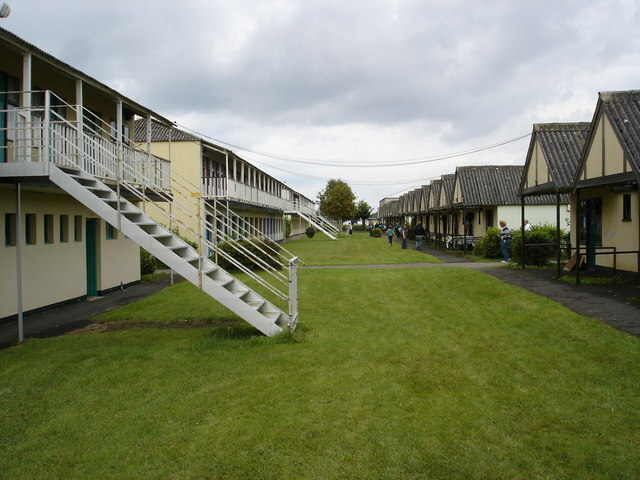 My first experience of something similar to this would have been our family holiday at Butlins Holiday Camp in Bognor Regis, England. It was hell! I am not sure what we expected but dinners were served in giant aircraft hangers and if one of the poor girls serving happened to drop a plate the whole place erupted in hoots and cheers. 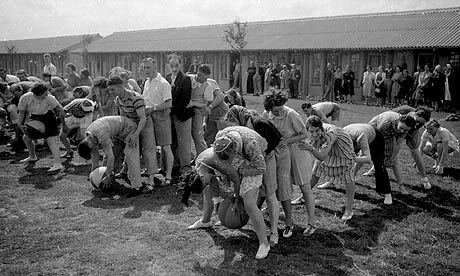 There was all the fun around the pool that you can think of – the hairy chest contest, the knobbly knees contest not to mention Miss Butlins 1962…. Oh what fun we had…NOT. “Good morning Campers!” boomed out of the speakers at some ungodly hour. We levitated from our beds (bunks) staring around dazedly (is that a word) not quite understanding what was happening. “Come on Campers! Rise and Shine! We have a day full of fun and merriment. Up you get, Rise and Shine”. Well that was the end of that speaker. My Dad had his Royal Navy handy tool bag and quickly dismantled that, all the while ignoring the notices containing dire threats to anyone who would think of even touching it. Things have changed quite a bit….. or have they? Have you ever tried to take an afternoon sleep in a Mexican resort when it just so happens that you have the “pool view” room. 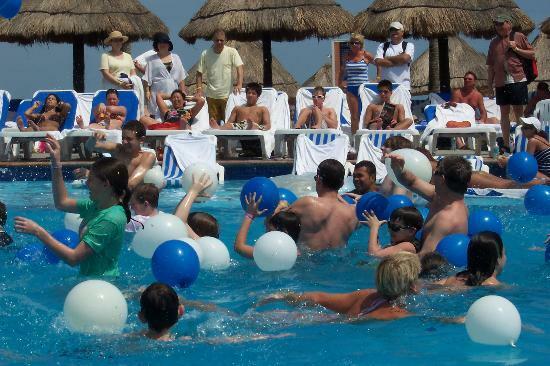 Yep – every afternoon down by the pool it is the Mexican version of the hairy chest competition accompanied by drunken cheering from those large red guys sitting around the swim up bar (do they ever pee and if so…. Where?). 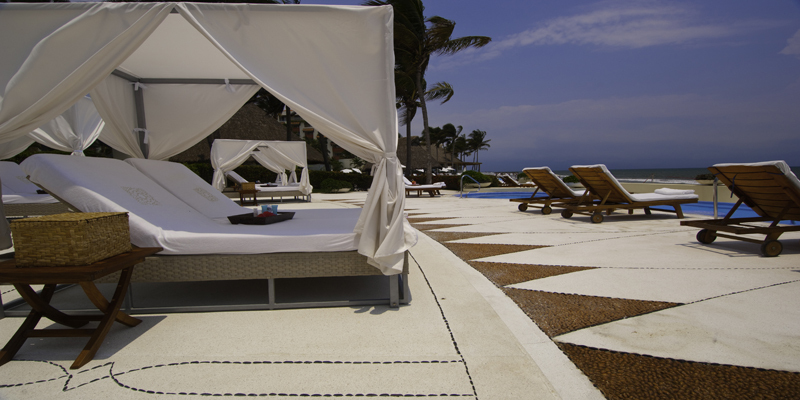 In fairness, there are some exquisite upscale resort hotels catering to a different life style – still all-inclusive but a la carte with premium brand drinks and quiet adult only areas. Mmmm – right now looking outside the window that sounds really really good!